This is not just another coloring book. It is a guide to prayer for anyone who wants to connect with God by creating something visual and concrete. Prayers for Others, Prayers for Yourself, Disgruntled Prayers, Gratitude Prayers, Praise Prayers, Regret Prayers, Spending-Time-With-God Prayers, Blessing Prayers, Praying for Enemies, Praying with Scripture, Praying Your To-Do List, Daily Inventory Prayers, Hodgepodge Prayers, Prayer Calendars. Slowing down isn’t easy in our culture where stimulation and constant virtual connection are the norm. 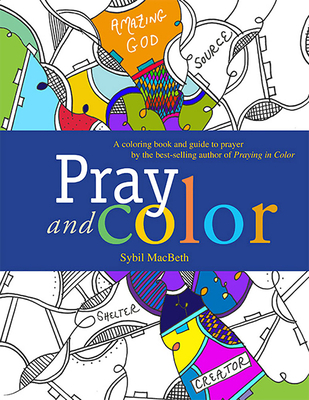 If you find the transition from busyness to stillness difficult, follow Sybil to a slower, more contemplative pace through coloring as prayer and as spiritual practice. "This new coloring book and guide allows anyone to quiet the mind and pray while creating something visual and inspired."